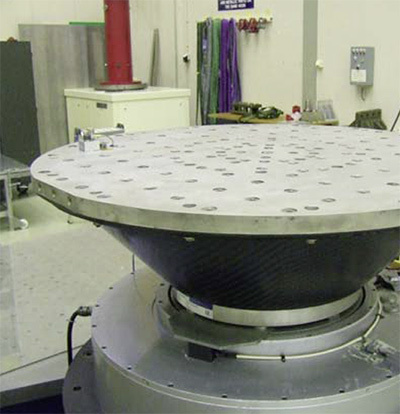 • One 80kN shaker used in vertical configuration for tests on very small test articles. 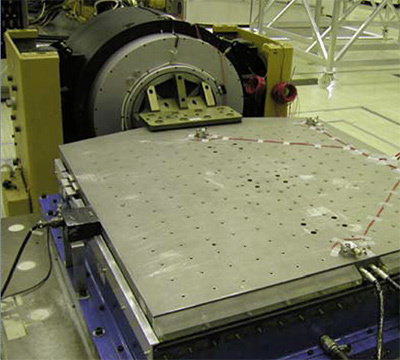 • One slip table to which the shaker is coupled in horizontal configuration for lateral tests. • One carbon fibre reinforced head expander to which the shaker is coupled in vertical configuration for longitudinal tests. The 80kN Shaker is used for sine-, random- and transient testing in the frequency range from 3Hz to 2000Hz with acceleration levels from 0.05 g up to 100 g. A state-of-the-art control system is available with up to 36 available channels for vibration input control and automatic test article response limiting. 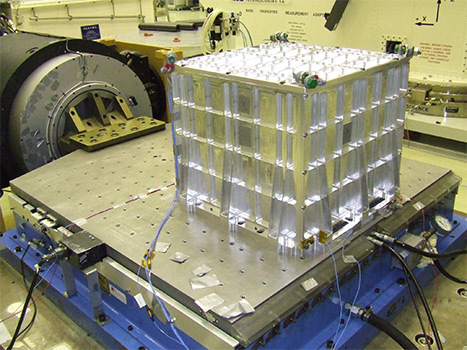 More acceleration measurement channels can be recorded by a mobile data handling system with up to 512 measurement channels.